Lottery Sambad is a joint name for various lotteries – the Kerala Lottery, Teer, Sikkim Lottery and Nagaland Lottery to name a few. This project aims to provide players with comprehensive information and results, simplifying playing the lottery in India. 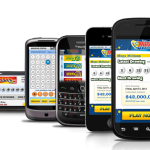 If you’re interested in Lottery Sambad, you’ve probably come across the numerous mobile apps carrying its name. Today, we will take a look at some of the most prominent Lottery Sambad apps, their unique characteristics, strengths and even a few of their shortcomings. Let’s kick off the review of the Lottery Sambad live apps with a development that carries the name of the online platform. While this app isn’t an official one, it’s pretty comprehensive, and it comes with some essential characteristics. Lottery Sambad Result is an Android app that gives you access to Sikkim, Nagaland, Mizoram, and various other results. Convenient tabs provide you with access to the multiple functionalities – results, a schedule and lottery news, to name a few. Apart from featuring the latest results, the Lottery Sambad Result app also comes with a full archive. It’s a good choice for those who rely on hot and colt numbers and who want to increase their odds of winning this way. Currently, the app has a rating of 4.4 out of five stars based on 443 download reviews in the Google Play store. 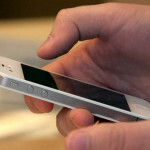 According to most reviewers, the app does precisely what it promises. The complaints aren’t that many, and one of the biggest criticisms is that the results archive is relatively limited back in time. Another Android Lottery Sambad app, Lottery Sambad New does more or less the same as the previous entry in the list. How the information is provided ranks as the biggest difference between the two developments. Featured among the Nagaland Lottery Sambad apps, Lottery Sambad new also provides results for various other Indian lotteries (including Sikkim). One of the exciting functionalities is that you can download the result information in the form of a PDF. While this isn’t an official lottery app, it’s relatively reliable when it comes to the provision of the latest results. 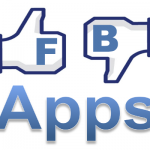 This is a relatively new app, and it doesn’t have that many customer reviews. So far, the rating is very high, and there hasn’t been any criticism about the functionality or how the app works. As per the app’s presentation in the Google Play store, this is an official LS Publications Pvt Ltd development. 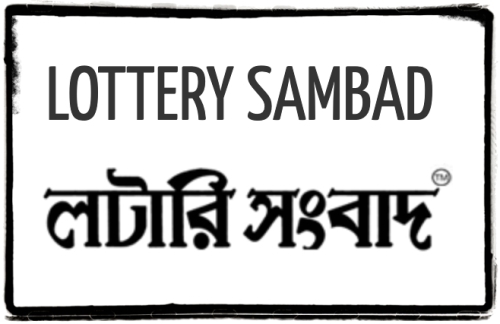 The company publishes the Lottery Sambad newspaper that provides information about results in the West Bengal region. If you’re looking for reliable Lottery Sambad result apps, this one would be a good choice. Lottery Sambad Official App features daily results, bumper lottery results, a results archive, a free electronic copy of the Lottery Sambad newspaper and lottery notifications for the games of your preference. The app has a rating of 4.9 stars out of 27 reviews. According to reviewers, the Lottery Sambad Official App is reliable and easy to use. One downside that has been mentioned in some of the reviews is that the functionality can get a bit slow at times. Let’s continue the list of the Lottery Sambad live apps with Lottery Baba. This independent development supposedly features the latest results for the daily lotteries that take place at 11:55 am, 4 pm and 8 pm. The app gives access to all of the Lottery Sambad results. It also features Goa State Lottery and Rajshree results for a more comprehensive lottery experience. Updates are made daily or as soon as a new drawing takes place. Results are displayed in PDF format. Lottery Baba doesn’t have that many reviews, and there aren’t any negative comments about its functionality. People who downloaded the app report that it is reliable and that it provides accurate Sambad Lottery results information. Dhan Kesari is also included among the popular Lottery Sambad apps with its 4.5-star rating and over 50 reviews in the Google Play store. Dhan Kesari Lottery Results provides information for several of the lotteries in the Lottery Sambad portfolio – Nagaland, Sikkim, and the West Bengal lotteries. 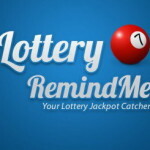 You can view the latest results, a results archive and a list of lottery news (no information is provided about the source of the news). The Android app is praised as useful and accurate. There’s no criticism or negative remarks about its functionalities. This Lottery Sambad Live app gives users a live streaming option for the exploration of the latest results. As per its official presentation in the Google Play store, the app provides information about Nagaland, Sikkim and several other games in the portfolio of Lottery Sambad. There are separate live tabs for each of the lotteries. You have to press on the respective one to access the video information. There has been consistent criticism about the functionality. Some users, for example, found it difficult to create a new account because they only saw a sign in button. This is the most common negative remark that has remained unaddressed by the developers of the app. As you can see, the list of Lottery Sambad apps is very long. Some of these are more functional than others, but it’s really up to you to download a few of the free apps and test them out. How the results will be presented is different, which is why you have to select the format that you feel most comfortable with.